Description: Hampton Hickory Plank is uniquely comfortable and crafted to last for generations. Both inviting and beautiful, they are a tribute to understated refinement. 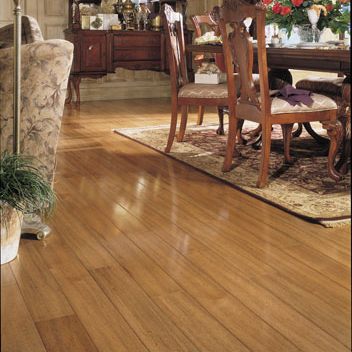 And, you won't find a more scratch resistant hardwood floor anywhere that's easier to keep clean.